Major storms can inflict severe damage to tree canopy in a short period of time. But in every storm, some trees survive with minimal damage. With proper care, much of the worst damage to trees and property can be prevented. Encourage good branch angles. For most deciduous trees, narrow angles between two branches signal a point of future weakness. A good rule of thumb for many deciduous trees is to keep the angles at 10 o'clock or 2 o'clock. Encourage strong branch/trunk size relationship. Ideally, lateral branches should be no more than 1/2 to 1/4 the diameter of the trunk. 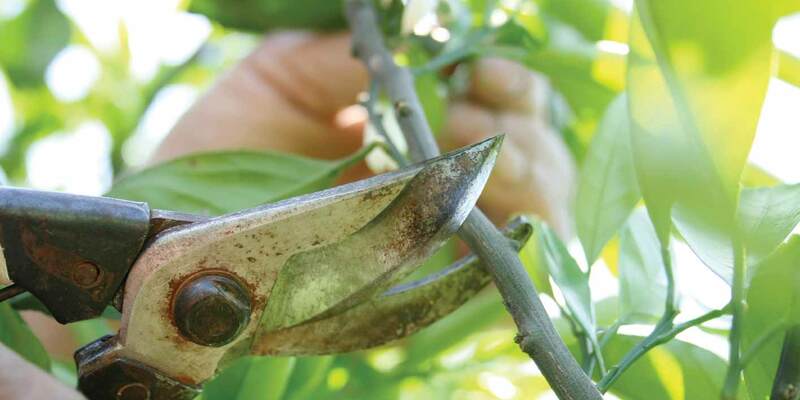 Remove temporary branches. This includes rubbing branches, suckers and watersprouts. For more helpful advice on keeping your trees healthy, visit Tree Planting and Care.